Dean Robinson is the Executive Chef at Heritage Hanmer Springs and has been driving our dining experience since November 2015. 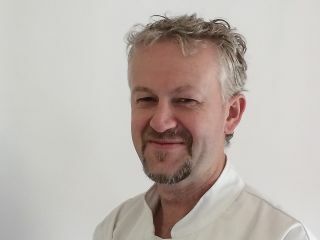 Dean is a New Zealand-born chef who has worked in the south of the South Island as well as in the high-pressure restaurant environment in Auckland. After five years in Auckland, he moved to South America to take part in the opening of a fine dining restaurant in Santiago, Chile where he was based for five years. On his return to New Zealand, Dean worked as Executive Chef at a busy hotel in Tekapo and then in a popular restaurant in Ashburton before coming to Heritage Hanmer Springs in the summer of 2015. His focus is to use the freshest local produce in the Hurunui region to create a truly memorable dining experience. We have a wide selection of menu options for your event and we are and are happy to create a menu that meets any dietary requirements.